2018 remastered 180-gram vinyl LP contains "Modern Love" and "China Girl"! David Bowie's 15th studio album, Let's Dance, was released in 1983, three years after Scary Monsters (and Super Creeps). 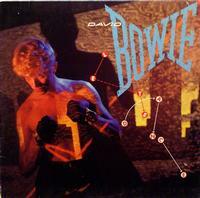 The album features three of his top singles including "Let's Dance," "Modern Love," and "China Girl." The album earned a Grammy nomination for Album of The Year in 1984 but lost to Michael Jackson's "Thriller."